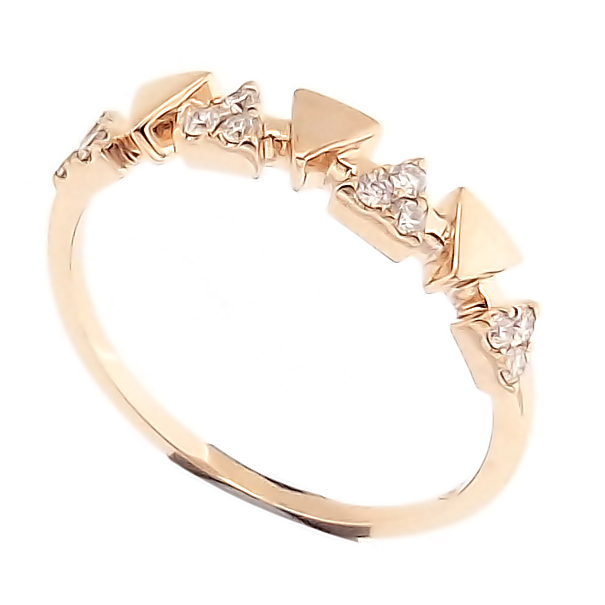 This uniquely shaped rose gold ring features four triangle shapes with diamonds and three solid gold triangle shapes running along the top of the band. The triangle signifies strength stability and evenness on all sides. Simply stunning alone or add to any other ring creating your own unique look.